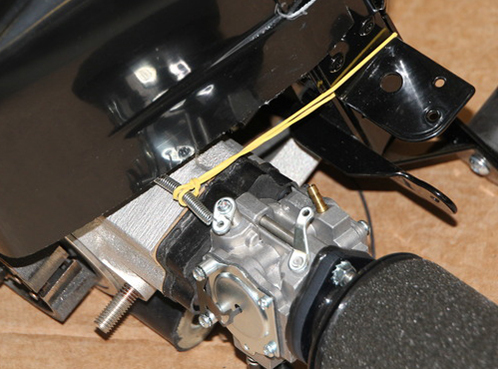 To install the Airbox, feed the foam filter attached to the intake side of the Carburetor into the hole on the Air Box, the line up the rim of the hole with the rubber flange and gently seat the flange around the rim of the Air Box hole. Make sure this is seated all the way around by gently twisting it until you can feel it snap into place. 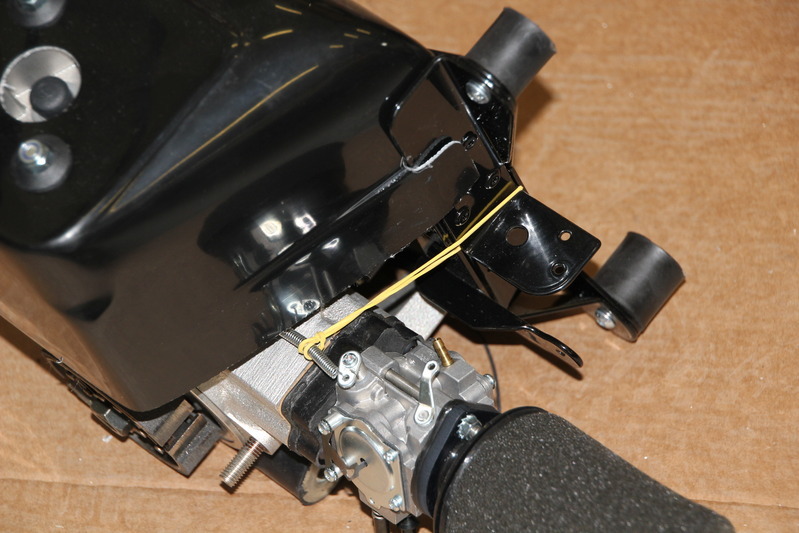 Twist the Airbox until the lower hole lines up with the Airbox Clip and fasten it in place with the knurled nut. The next step in the assembly is the Redrive.